This essay is excerpted from the Living Book You Asked. The reasons Americans continue to adopt children around the world are likely as diverse as the families who adopt. Each family has its own story. While no formal studies have examined this question, we have observed a number of common factors. Many families are “drawn” to a particular country. For example, it is hard for many Americans to see images of a tsunami or an earthquake and not want to help — as in Haiti, where adoptions from the U.S. increased after the recent devastating earthquake. Some Americans may select a country in which they have family ties or one they have visited. Others may choose a country from which friends or relatives adopted and had a positive experience. Families may also choose a country that offers them the possibility of a child who has a similar ethnic background. Also, since it is a fact that some countries are likely to have more girls available for adoption, some families choose to focus on those. In some cases, decisions may be based on a family’s particular circumstances or their perceptions about the adoption process itself. For example, some families may worry that the process in the U.S. may take too long or that restrictions on adopting parents, such as age, may prevent them from adopting. Others may be concerned that a U.S. birth mother may take an active role in their new child’s life that could be confusing to the child. Some believe they will have more control of the international process since they avoid being “selected” by the U.S. birth mother, a process allowed in some private U.S. adoptions. Certain fears are completely unfounded, however, such as worrying that the U.S. mother may easily reclaim the child or that the mother of a child in the U.S. foster care system is more likely to have been exposed to drugs or alcohol than one outside the U.S.
Adoptions to the U.S. from Haiti increased after the recent devastating earthquake. In February 2010, a Minneapolis couple brought home a 22-month-old boy they adopted there. That Americans adopt children from other countries is not new. Following World War II, many Americans adopted children orphaned by the war, and the trend of adopting children left without parents due to war continued through later conflicts. After the Korean War, a large number of U.S. families adopted Korean children, and this trend continued through the late 1980s. Until 1988, South Korean adoptions accounted for more than 60 percent of all U.S. international adoptions. Since then, however, more families have shifted their attention to China and countries of the former Soviet Union. Beginning in 2000, an explosion in the number of children adopted and brought to the United States occurred. 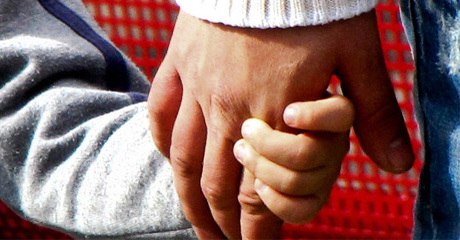 Almost 200,000 children were adopted internationally by U.S. families in the past 10 years. In the prior 10 years, less than 105,000 children were adopted internationally. The upward trend, however, has slowed recently. In 2009, 12,753 children were adopted internationally, down from a peak of 22,990 in 2004. The reasons for the downward trend are likely multifaceted and may include factors such as more restrictive adoption rules in other countries and the global recession. Unfortunately, however, this comes at a time we are seeing an increase in the number of children outside the U.S. being placed in orphanages or foster care who are in dire need of a family. Factors contributing to this include ongoing AIDS epidemics and economic issues leaving more families unable to care for their children. It is important to note that while international adoptions have increased over the last decade, more children adopted in the United States come from the U.S. than through international adoptions. In 2007, roughly 2 percent of all children living in the United States had been adopted, and only 25 percent of those came through international adoptions. Of the remaining adopted children, 37 percent were adopted from the U.S. foster care system and 38 percent were acquired through private adoptions. While overseas adoption may be getting attention of late, the majority of adopted children in the United States are from the United States. The reasons that Americans choose to adopt internationally or domestically are wide-ranging and diverse, but in general, families believe that by opening their home, they can provide a child from a disadvantaged background a wonderful new life. And because of a desire to build their families by helping children around the world, many Americans will continue to adopt internationally. Dr. Patrick W. Mason, a pediatric endocrinologist who also holds a doctorate in biochemistry, is the founder and medical director of the International Adoption Clinic at Inova Fairfax Hospital for Children in Virginia.